In this wooden cottage a consistent style and atmosphere is dominating. 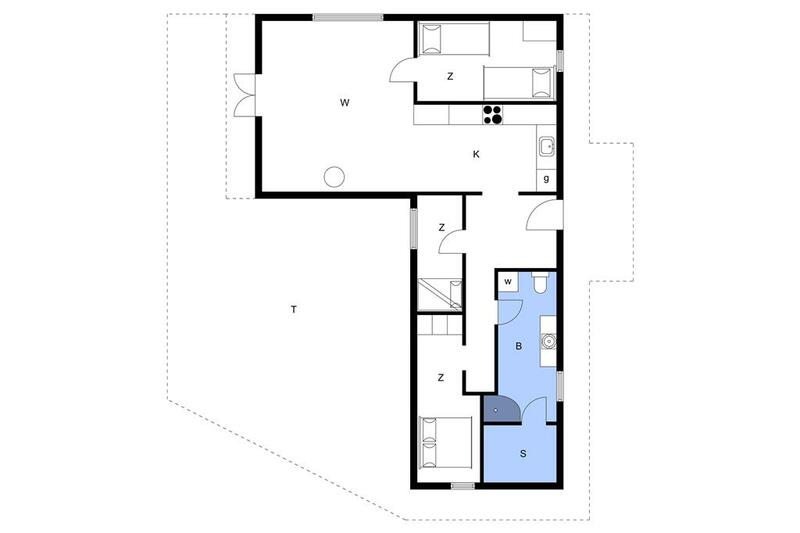 Especially the functional combined living room / kitchen area should be mentioned. The wood-burning stove provides the warmth when the western winds shake the trees outside. The cottage contains 3 bedrooms, 1 with double bed, 1 with 2 single beds and 1 with a bunk bed. Pleasant bathroom with heated floor, WC, shower and a roomy sauna. Smoking is not allowed in the holiday house. Outside there are 3 terraces from where you can enjoy the sun. The undisturbed, south facing terrace is furnished and has plenty of room for a barbecue. A lawn with swing jig and sandbox offers the children plenty of opportunities to play, while the parents relax in the garden furniture on the terraces. 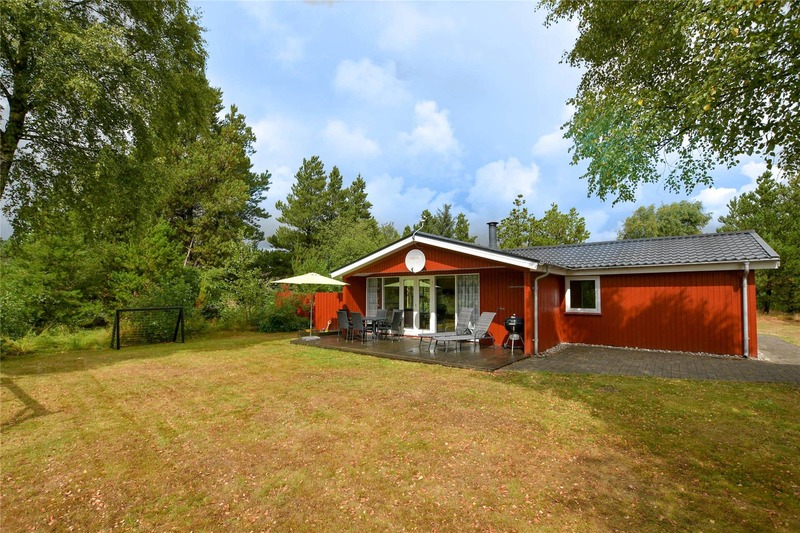 The holiday house is situated on a green nature ground.